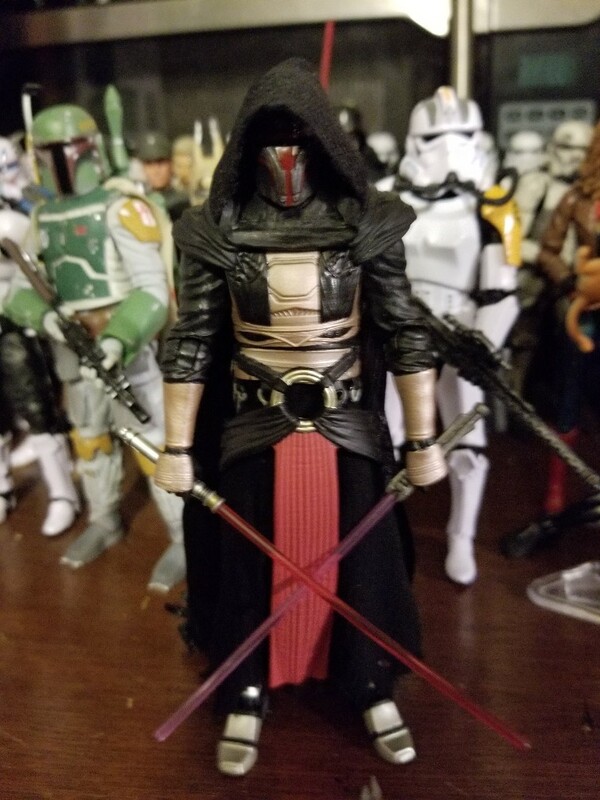 I really liked the Darth Revan Black Series figure, but hated the stiff hood. 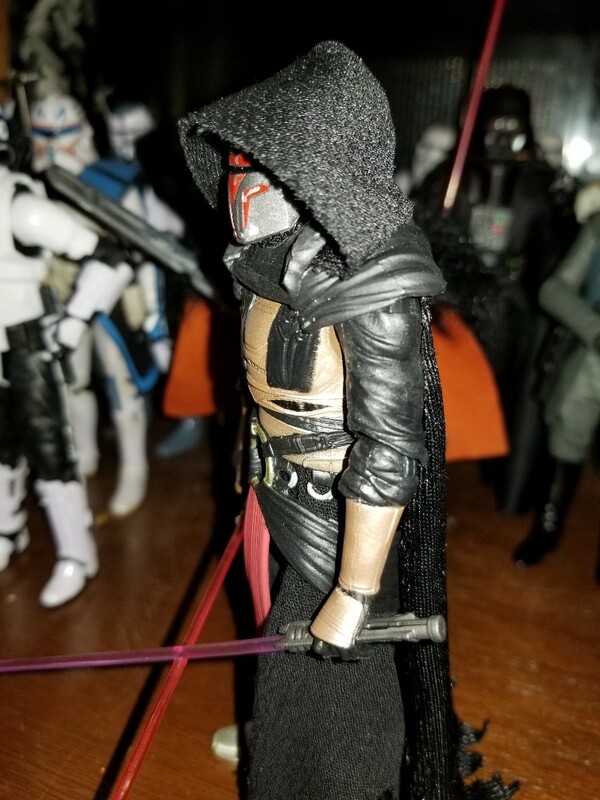 Plus, he was so hard to get (I never once saw him at retail in Canada) but eventually managed to get him for retail price from a Canadian seller. 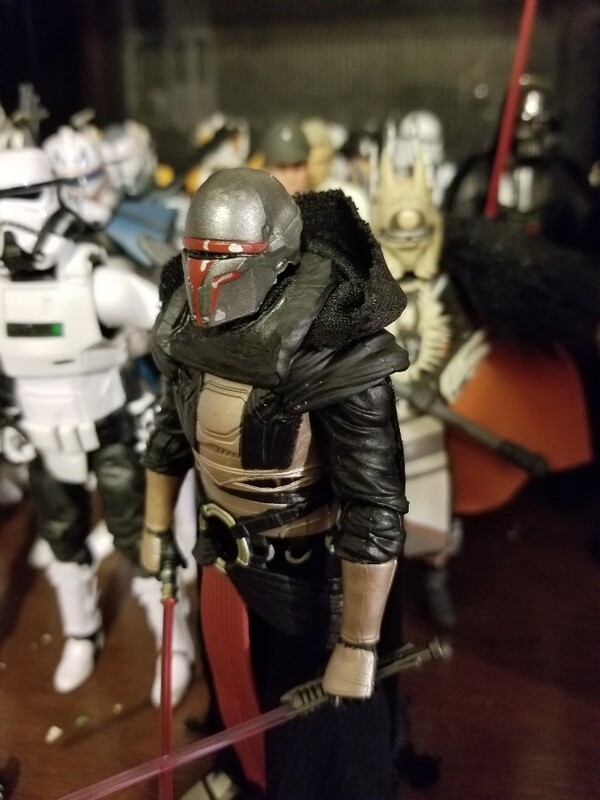 I gave mine a soft goods hood. Took a while to finally decide to take the plunge and do it. 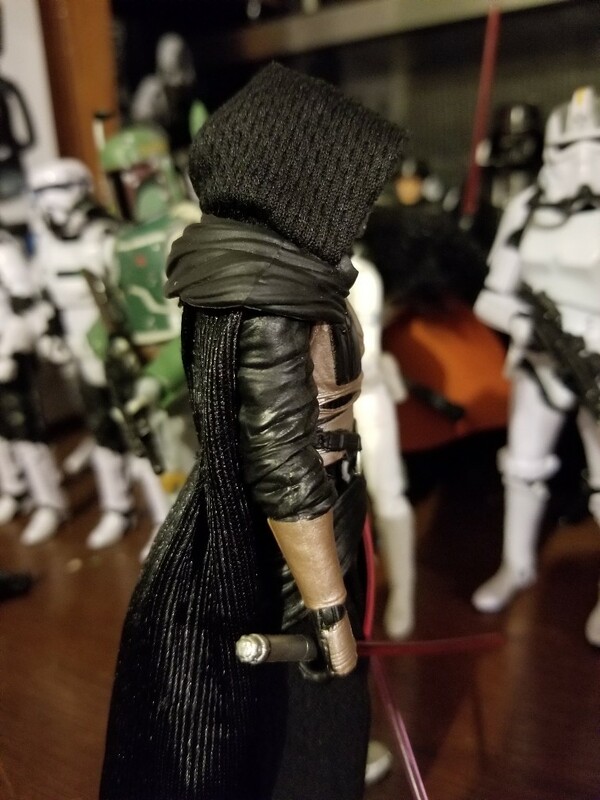 If I have time, I may fix the collar area behind his head a little but I can only do so much as I kept that part to hold his soft goods hood on. Also, you don't really see it. It's only visible in the pictures cause of the flash. 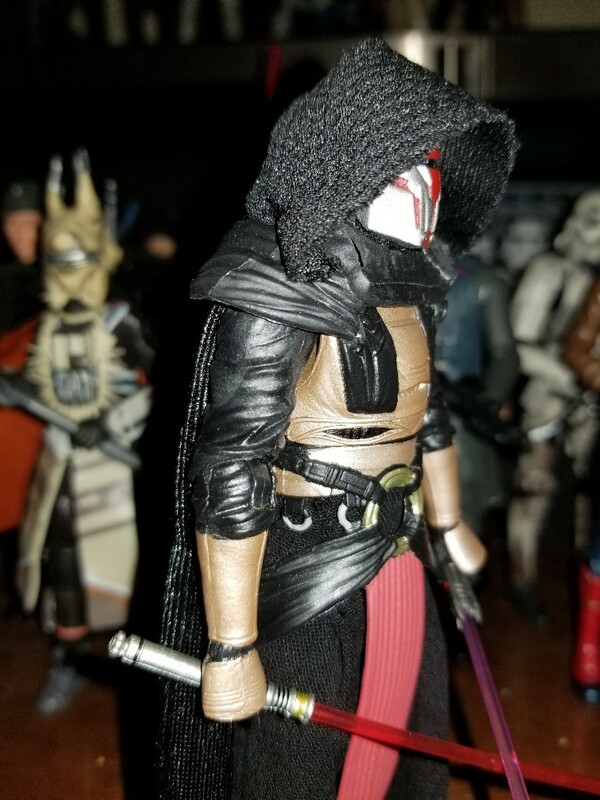 I found it stupid that they made a nice head for him but you can't appreciate it cause the hood is so stiff. 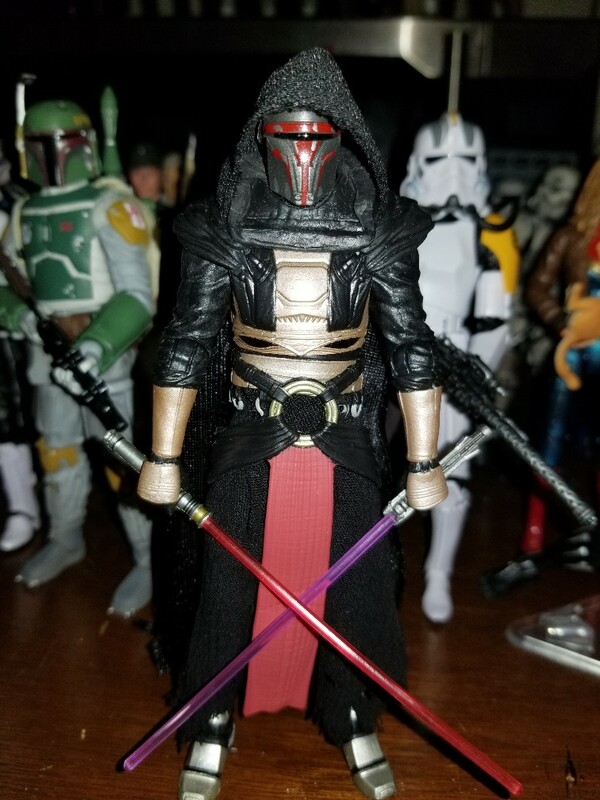 This was actually one of the reasons I held off getting him even when I was able to get him for slightly higher than retail. Here's how his head looks under the hood for those that were wondering. 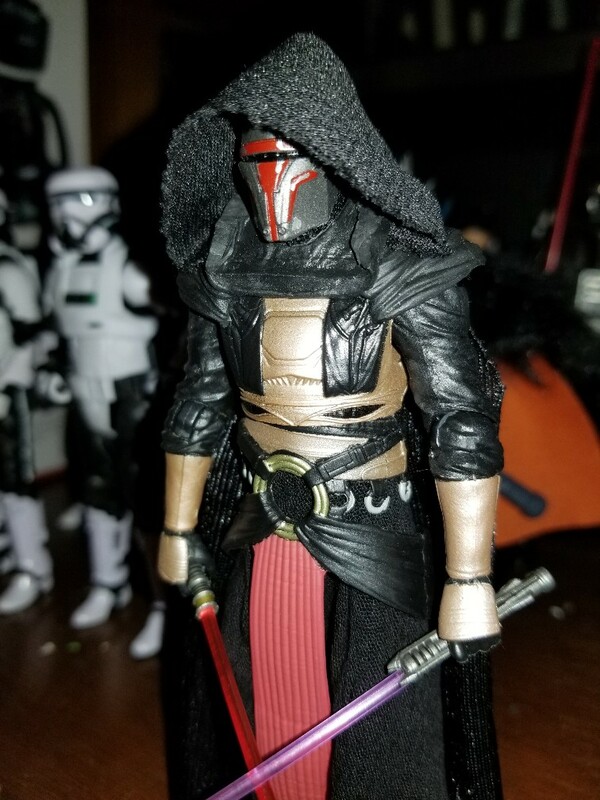 Just looking at my Revan, realized the hood flared out too much so I adjusted it to make it look more like the shape of the plastic hood. Wow that looks really cool,bro. Is that the new wave of 6" behind him?? I only got Padme from the new wave so far. The other is the Archive Fett and the Gamestop Jumptrooper. I live in Canada and got it from EBGames. 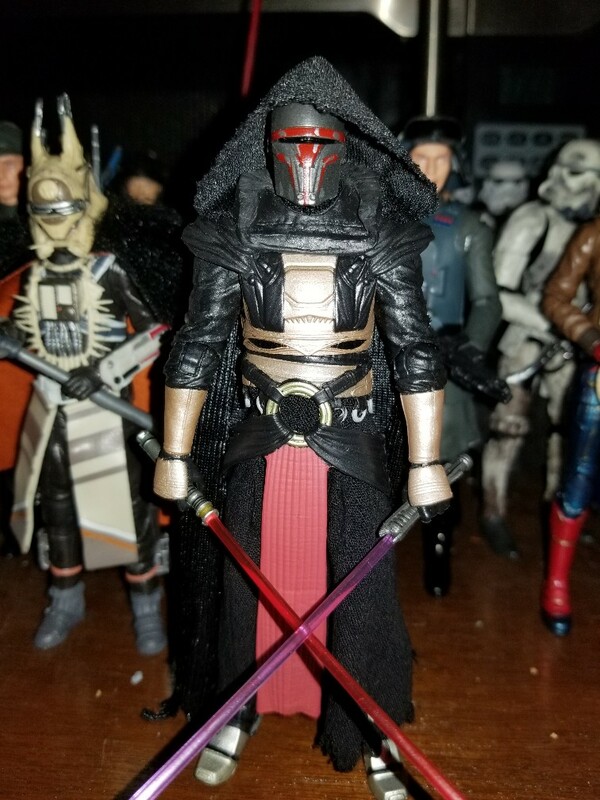 Not sure if the Jumptrooper is actually out in the US yet or not. Wow, looks great. 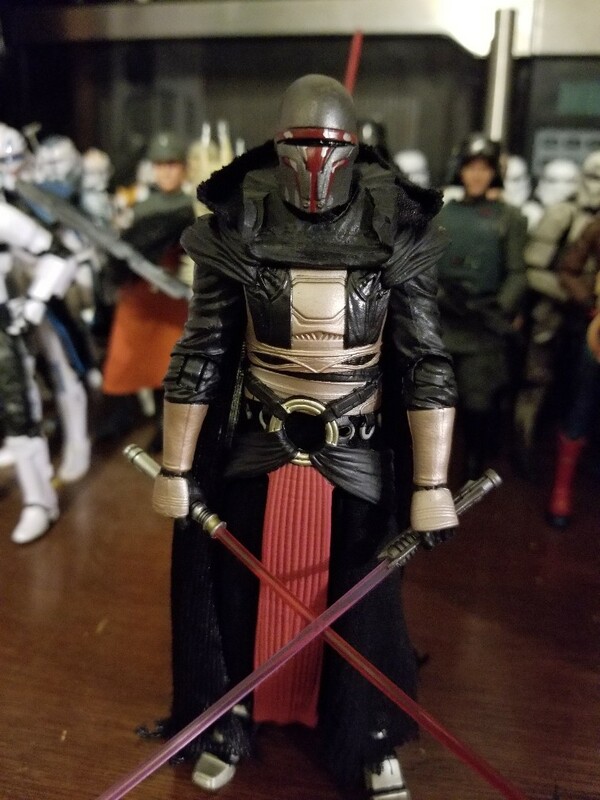 I was able to pick up the original Fett a year or two ago, that figure is so awesome I went on a bit of a binge buying 6 inchers. But none of them had the same magic so I moved on from the scale. 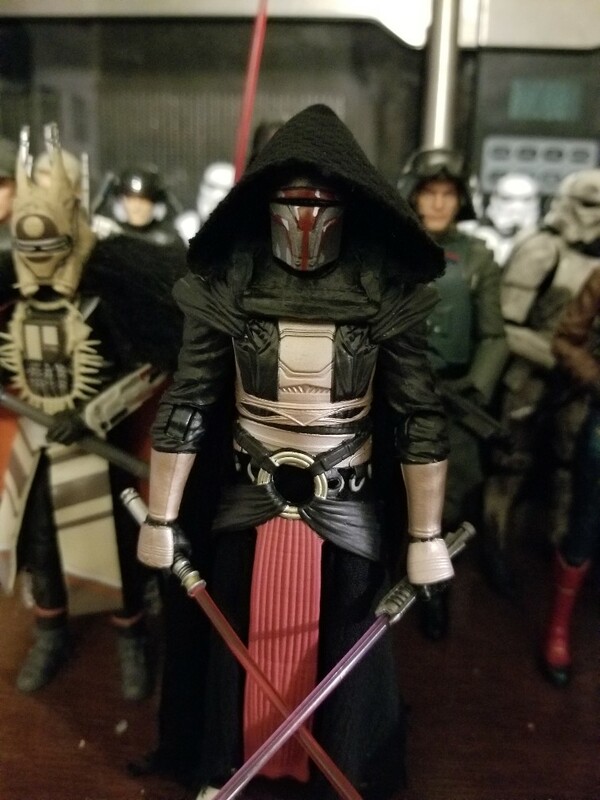 Revan looks to have that same magic though! 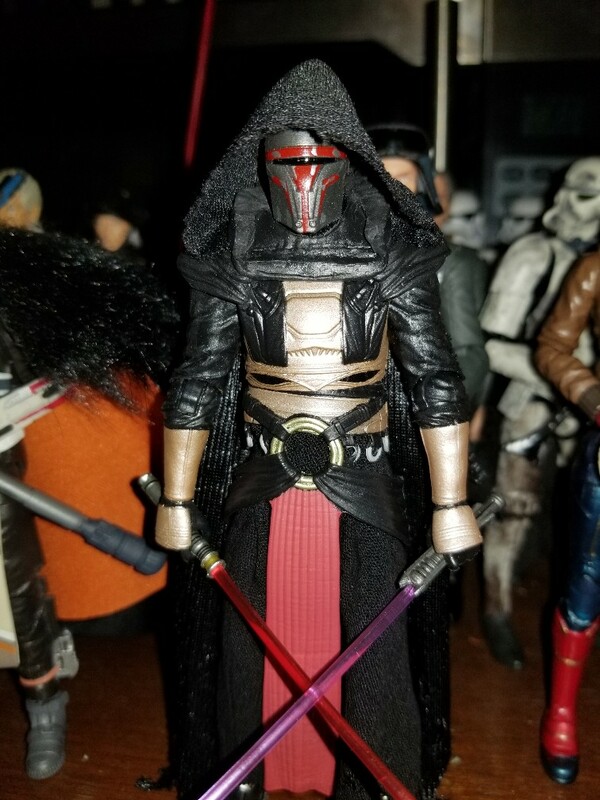 As a huge fan of the Black Series, I love this. At times I am “torn” on soft good robes and hoods. 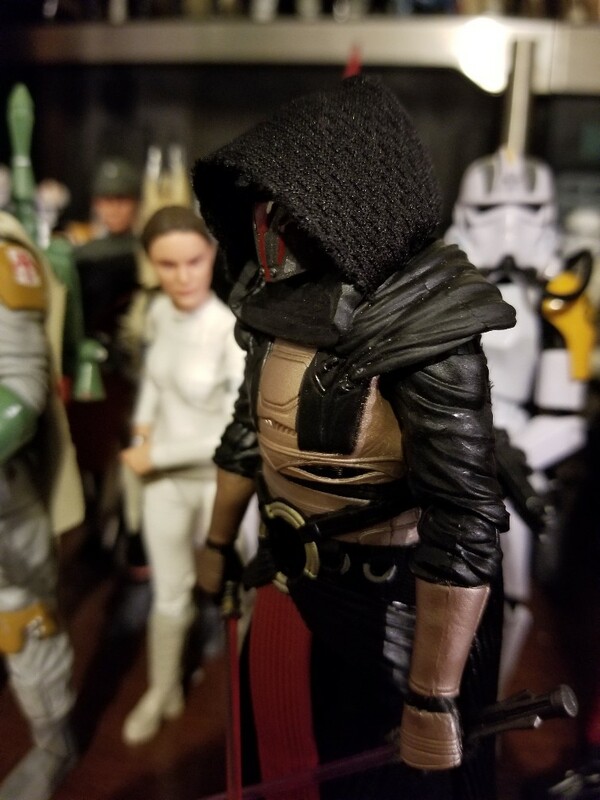 Your custom hood looks great, nicely done. Thanks. 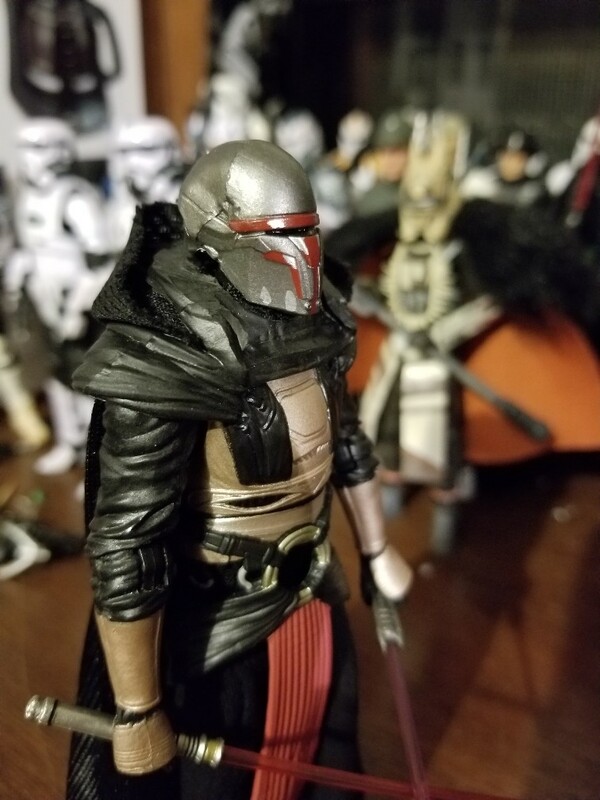 The only reason I decided to do this was the fact that the way Hasbro executed this figure, you can barely move his head. 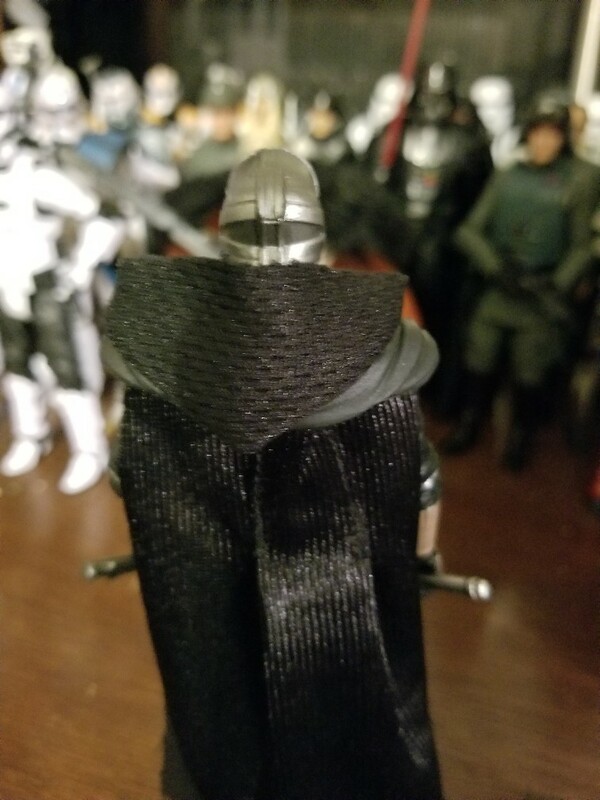 When I saw the Kylo Ren cloak, then I got the inspiration.